I’m working an internship at a summer camp is Philadelphia. Basically I’m helping to lead a leadership training program. But while living at a camp and working full time, for some reason I thought, sure. I can keep working Observer articles. So that’s what I’ve been doing. I recently submitted an article on my experience being backstage during a Lion King production (which will either get published soon or I will put it up on here), and then I landed two interviews. One Tuesday morning at camp, I took a break from my internship duties to go back to my cabin and have a phone call with both Kristian from Sugarland (the duo that just did that song “Babe” with Taylor Swift), and Kevin from Pentatonix (aka my favorite member). Kristian was very professional and pleasant to talk to. He gave me the scoop on his partnership with Taylor Swift and everything. 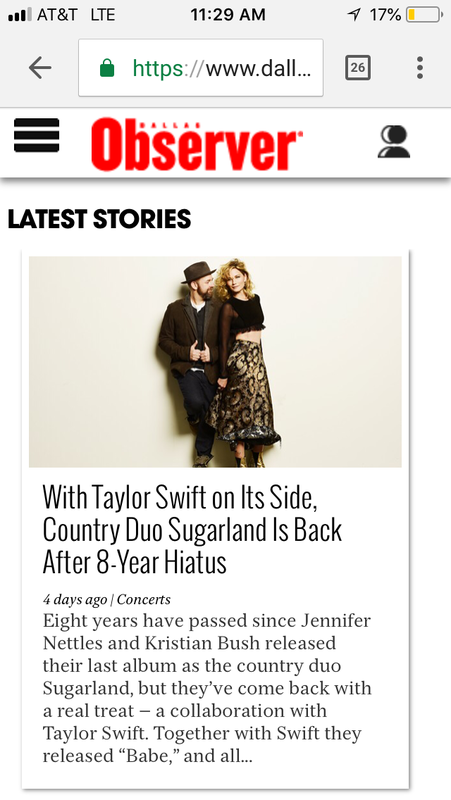 Link here for the Sugarland article!! Kevin was calling from Cali so he had just woken up it seemed, so it was a very chill conversation. He was super nice, even trying to work with a couple technical hiccups I had. I gushed about how much I loved their show last year, and he was so excited about coming back to Dallas for Whataburger. 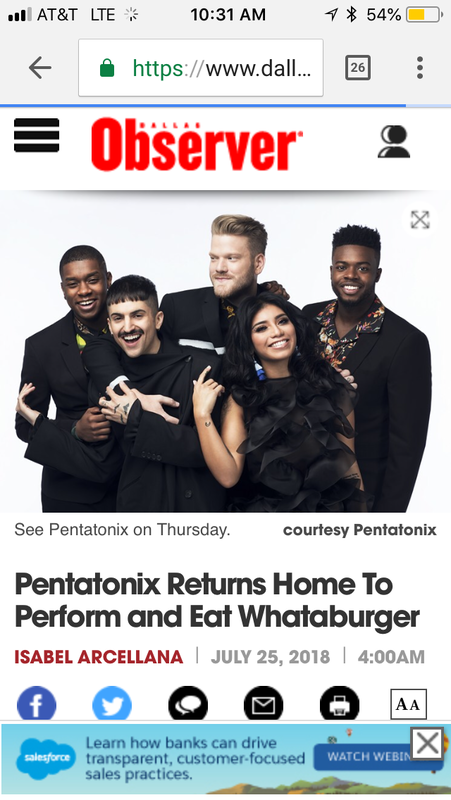 Link for the Pentatonix article! !